Mangalore, Aug 13, 2014: Responding to queries of members during the Mangalore Taluk Panchayat review meeting here, on August 12, Minister for Health and Family Welfare U T Khader reiterated that vacant posts at health centres in various places in the State will be filled in a phased manner within three years. He went to state, Taluk Health Officers must visit each primary health centre (PHC), at least once in a month, after informing about the visit to zilla panchayat and taluk panchayat members. Problem solving and development fo the centres is a priority. Students’ health check-up is done at every school of Mangalore taluk. Students get free health treatment if they have health cards. Teachers should create awareness, he stressed. In view of demands for a suitable building for Mangalore taluk panchayat, the new building construction will commence in the presence of District-in-Charge Minister, soon. Honorarium of taluk panchayat members will be looked into. In order to sort out various demands including free health insurance to the government employees under Arogya Sanjeevini scheme, Khader said that he, along with a committee would meet Rural Development and Panchayat Raj Minister H K Patil. Long pending files : Taluk panchayat members demanded that the files which are related to the taluk, pending in Assistant Commissioner’s office should be attended to at the earliest. Revenue adalat, which is being conducted in all other taluks should be conducted in Mangalore also. Tahsildar Mohan Rao informed two revenue adalats were conducted. Revenue adalats will be organised in both taluks till next March every Fridays. Meanwhile, T P Prakash alleged that in Assistant Commissioner’s office around 3,000 files are waiting for attention. As they are related to Revenue matters, people face serious hurdles he said. 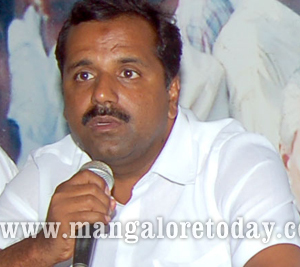 Minister Khader advised taluk panchayat members to focus on the problems of homeless people of rural areas. Members should prepare a list of needy people with all details. They should collect information about the available government land in the village and submit it to zilla panchayat and the state government, he said. Member Dhanyavati said that though there was a workshop for the women members of zilla panchayat and taluk panchayat on rural development at Mysore, between August 12 and 14, and though the TP President had received letters in this regard, it was not informed to the members. The Minister suggested to concentrate on serious issues and long pending matters.